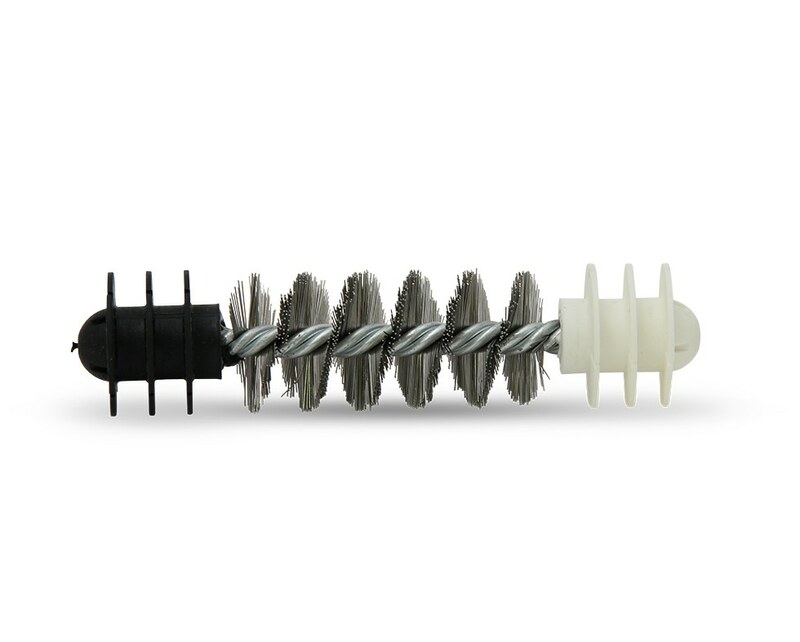 Our patented Bi-directional Stainless Steel Coil Brushes offer maximum cleaning power. They effectively provide twice the cleaning power through a unique combination of aggressive brushing and wiping actions. They are ideal for cleaning medium to hard deposits. The ability to load in the tube, regardless of orientation, saves time. Bi-directional Stainless Steel Coiled tube brushes are available for tubes .875"-1.000" O.D. with BWG ranges 16-22. Select tube O.D. and gage for proper sizing. For tubes .875"-1.000" O.D. with BWG ranges 16-22.